Unite around your purpose using music. 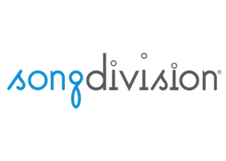 Through collaborative songwriting, performance, and entertainment SongDivision uses the science of music to inspire creativity, strengthen connections, empower teams, and build a deeply unified corporate culture. Our comprehensive offering of musical experiences encompasses team building, corporate entertainment, conference openers & closers, and brand activation, and we proudly work with companies of all shapes and sizes including Fortune 500’s in over 30 countries. Our world-class musicians and facilitators are well-versed in corporate culture and team engagement and have earned their chops touring and recording with renowned artists such as Prince, Justin Timberlake, and Adele. Turn up the volume on your next meeting or event, and see how we can unite your people around your purpose using music.